6-year-old Charlotte Figi suffered from a very rare disease called Dravet syndrome that caused her to have more than 300 seizures a week. It also left her with symptoms similar to autism. Her family tried every treatment available, but nothing worked. Then her neurologist suggested that they try cannabis oil extracts. The results blew them away. Fortunately for Charlotte, her family lives in Colorado, which is one of the most progressive states out there for cannabis laws. 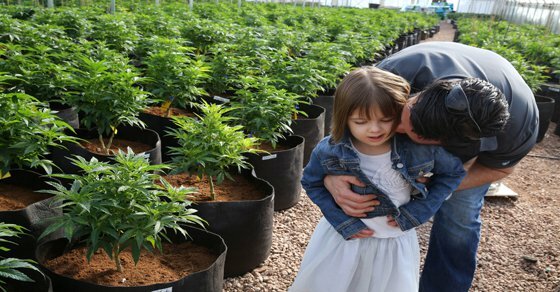 Colorado has comprehensive medicinal marijuana laws on the books that allowed Charlotte to use cannabis oil to treat her seizures. After just 8 months, her condition was completely gone. Because of this success, clinical trials testing combinations of THC and CBD extracts for treating diseases like cancer, diabetes and inflammatory bowel disease are underway. Good news for pro-medicinal marijuana advocates.